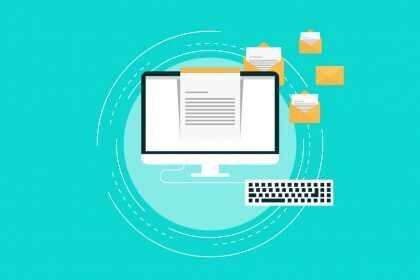 Are you writing a newsletter for your business? Here are 14 things it needs to include if you want it to be opened and read! Relationship building – whether it’s with curious potential buyers or loyal, regular customers – is at the heart of every successful business. And one of the easiest and most cost-effective ways to do this is by sending out regular newsletters. But you can’t just send out any old rubbish to people. 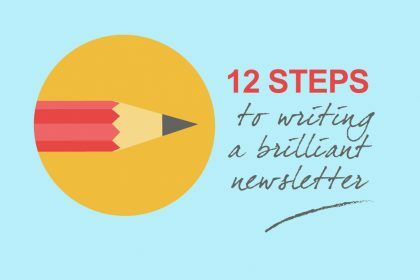 If you want your newsletters to be opened and read (and ultimately achieve your business aims), they need to include these 14 things. If your inbox is anything like ours it’s probably crowded with newsletters and sales emails, all competing for our limited time, attention and interest. So why should someone notice and open YOUR email? The answer to this is an enticing subject line – one that appeals to their curiosity or offers a benefit they need. 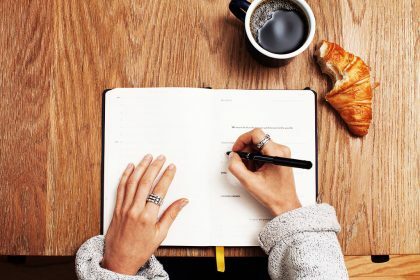 If you’re stuck on what to write, following the AIDA principle of headline writing is a great place to start. A newsletter is a great opportunity to show the human side of your business, and build an emotional connection to your customers. So make sure you start your newsletter with a warm welcome message. It doesn’t have to be long – just a short paragraph telling them something about you or your business. Even just what you’ve been up to since the last newsletter, or what exciting plans you’re cooking up is enough. Remind your customers that you’re knowledgable experts in what you do. Help them to solve a tricky problem (and therefore deliver useful value). You can either share quick tips in your newsletter, or share a link to a YouTube video or blog in which you share expertise in more length. Have you had any glowing reviews or testimonials recently? Or do you have a fantastic case study you can’t wait to tell people about? Again, your newsletter is a great place to share these with your customers. Don’t be shy about it – social proof is an important part of your marketing mix. And as long as your products or services genuinely help your customers, proof that it’s worked for others will help other people to take that leap of faith and trust you too – and get the results they need. Do you know of, or work with, other businesses who offer services or products that complement yours, and that may be useful for your customers? Or even better, help amplify the effects they’ll get from yours? If so, share them in your newsletter. Again, this comes down to adding value to your customers. The more you make their life easier or better, the more warmly they’ll feel towards and trust you. And the more keen they will be to open your newsletters and read your marketing messages. You could even approach the companies you mention in your newsletter and ask if they’ll reciprocate, and share your products and services with their customers. As long as you’re not cannibalising each others’ sales, a brand partnership has the potential to benefit everyone involved (including your customers). Do you have any products or services you think your customers may want to buy? Or even a free offering to share? Remember that your newsletter is a business tool, so at some point it’s got to connect with a sale. So even if you’re not using it as a direct selling tool, it won’t hurt to mention your offering in it. You may want to have a product or service of the week or month spot. Or review something you sell. Or perhaps you’ve got a special offer just for your mailing list subscribers. Whatever it is, make sure that you showcase what you do in some way. What do you want customers to do after reading your newsletter? To get in touch with you for a quote? Or to find out more about what you do? To visit your store, salon or restaurant? Or follow you on social media? Whatever action you want them to take, don’t leave them guessing! Encourage them to take that action with a compelling call to action. Always make it as easy as possible for customers to take the action you want, too. So if someone does want to follow you or share something by you on social media, encourage them to do so by including social media buttons or links in your newsletter. This may seem like an obvious one, but make sure your newsletter is visually appealing by including an attractive image. So when they open your email it looks colourful and interesting, and not just a dry chunk of text. If you have any significant news to share (beyond your warm welcome paragraph), put it into your newsletter. Won a big award or a new account? Just launched an exciting new product or hired a new person to your team? Share it with your customers and make them feel part of your happy family too. Is anything exciting happening in your industry right now? Any new legislation? Big developments or inventions? Unexpected trends? Anything that may affect or interest your customers? If so, include it in your newsletter. If you need to, you can add your own commentary to the news. Explain how it may impact you or your customer and what you/they can about it. By doing this you’ll demonstrate, yet again, how knowledgeable and helpful you are and ensure your newsletter is a must-read. Are there any questions you get asked frequently by customers? Things that they may consider before making a purchase? If so, answering them in your newsletter is a fantastic way to identify and overcome objections to purchase – and potentially reduce the amount of time you spend answering these questions in individual emails or social media enquiries. You could either tackle individual questions in each newsletter, or add a link in every newsletter to the FAQ page on your website. The more you know about your customers and what they need and want, the more successful you will be at creating and marketing products and services for them. So use your newsletter as an opportunity to get to know them better. You can do this by adding a simple poll to your newsletter, or asking a basic question and encouraging them to answer you on social media. Or you can add a link to a survey. To boost your chances of response, you can incentivise the survey with a prize draw, free gift or discount code. We’ve left this one until last, but it’s important. It doesn’t really matter whether your newsletters are weekly, fortnightly or monthly (daily may be a bit much for most businesses!). What IS essential is that they’re consistent – both in regularity and timing. You want your customers to look forward to and enjoy reading your newsletters. So if they’re used to getting them on a Wednesday afternoon (it’s worth testing timing when you first start to see what days and times get the best open rates), make sure you stick to sending them out on a Wednesday afternoon. The same principle applies to design. 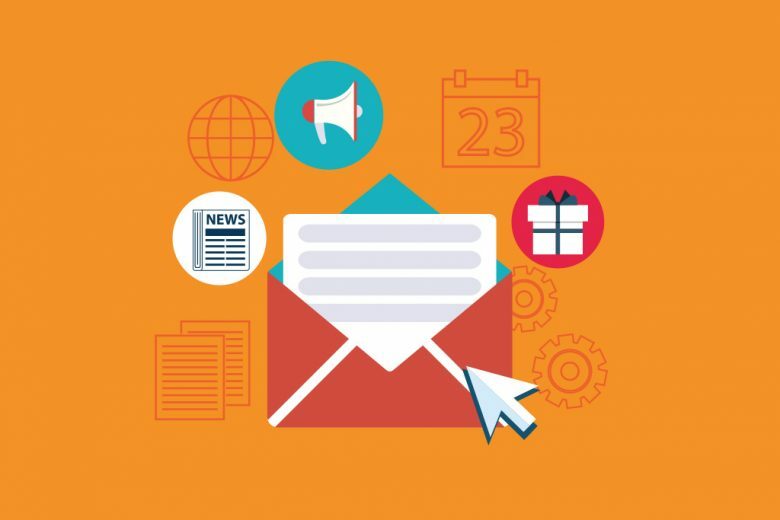 Your newsletters are helping to establish your brand. So make sure they look similar to the rest of your marking (website, social media profiles etc) and that each newsletter follows the same format. This is how you build that all-important brand equity. We hope our suggestions have helped inspire ideas for your next newsletter. Don’t feel like you need to stuff all of these suggestions into every newsletter though! 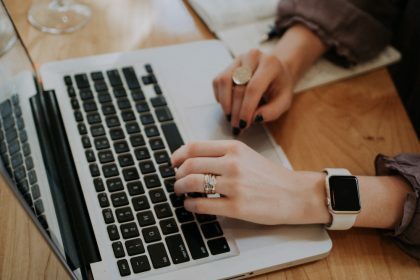 Use trial and error to see what kind of content your customers like and engage with (check your newsletter analytics to test subject lines, open rates, unsubscribe rates, and see what kind of links they’re kicking on), and do more of what works, and less of what doesn’t. 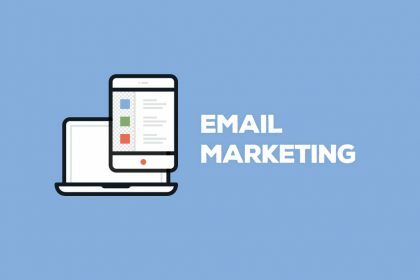 Over time your newsletters will become a valuable marketing and sales tool, so it’s worth investing the effort in getting them right! 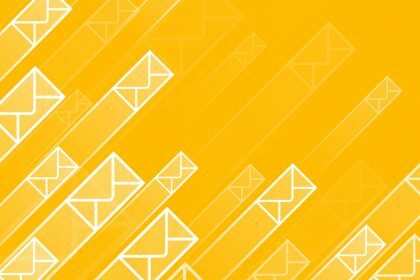 Six reasons why you need to write an e-newsletter NOW!